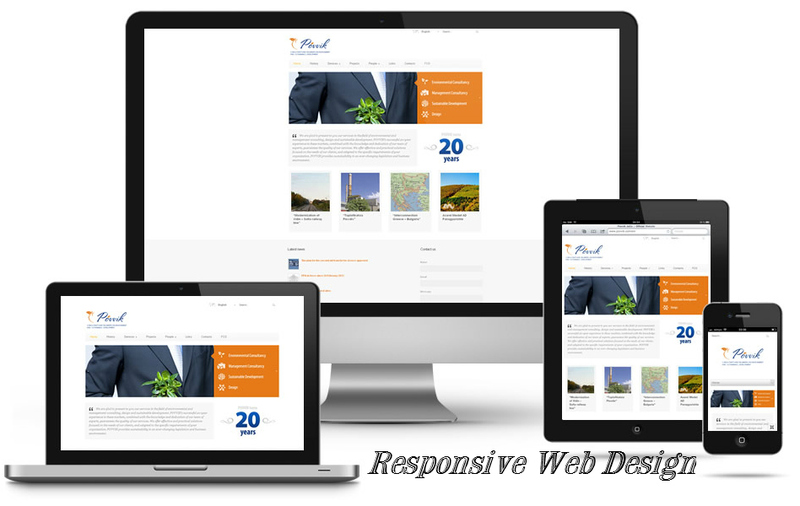 A responsive website design adjusts to the device that a user is using to view a particular business online. It is a web design and development technique that helps optimize a user’s browsing experience. The flexible and responsive web page ensures your business reaches users across multiple devices for a seamless user experience. And designing is not just about the aesthetics- it is much more than that and only a responsive website builder company can help make you one such website. Let us now see how this responsive design can make a difference to your business. One the driving force behind the development of responsive design is increasing use of proliferation of web applications on mobile devices and tablets- this enables one site to be implemented across devices as opposed to redirecting users to a device specific site. For those looking to optimizing online content, this is the best time. Statistics prove that businesses are already experiencing 40% traffic from tablet and mobile devices. With a responsive design, on any given device, the website moves, images resize and contents relocate font sizes change, layout changes and the navigation adjusts to deliver and exceptional results! This is one revolutionary web design technique that must be adopted if you want to optimize sales. When a user has an improved site experience and there is no need for redirecting, it will have a positive impact on your conversion rates, thanks to the consistent look and feel of the site. Since there are no barriers that having multiple sites present like functionality, performance, and the consistent look and feel. This increases sales and conversion rates. It is easy to get a responsive design website as creating multiple versions of the website is costly and a tiresome job. You will need one version each for say a desktops, mobiles and tablets whereas just one responsive design website can function well on any device. Google Analytics and other such sites are optimized to handle multiple devices and responsive reporting. Instead of collating different conversion paths and funnels, one single report condensed for easy monitoring and reporting. This responsive design allows you to focus on link outreach with a consolidated SEO strategy. Quality content is vital in SEO; it search engine ranking page positioning. Categories: web design | Tags: responsive design, responsive web design, responsive web page, responsive website builder, responsive website design, web design technique | Permalink. If your business is not on the internet, you are missing out on a lot. Today be it anything- we just look for the information on the internet. If you have a website to promote your business, you get more exposure than you can imagine by just being on the internet. But your website must be search engine optimized so that it appears on the top search engines like Google. For that you’d need nothing but the best search engine optimization company to help give your business that boost in sales and profit. If you use an attractive website to sell your products, you are sure to get an amazing response. But unless you find a group of professionals who understand your requirements and customize your website, you are not using it optimally. Today we access the internet from various devices like phones, tablets, laptops etc- the resolution varies for every device. A responsive website builder will help you design a website that displays a website just how it was meant to be. Also it increases accessibility, which in turn increases visibility. How do you choose the right company that will help make the most of your ecommerce website? You need to communicate to the pros what you want. As an ecommerce website you must know what your customers are looking for. Highlighting your products help. Usability must be another aspect of the design. A user-friendly website is what they are looking for. Cross selling helps to increase your average sale per visitor. Products that complement each other can be suggested in a non-disruptive manner. You must remember not everyone wants to sign up for your website- there must be an option to check out as a guest. Of course they can always sign up and create an account or sign up for newsletters. You must make it easy and secure for the customers to shop at your e store and owing to the rampant trend of identity theft, you must add a SSL certificate to your website and publish that it is protected by trusted companies recognized by most online shoppers. Experienced custom ecommerce website design builders will help you get a fully functional website. Categories: web design | Tags: custom ecommerce website design, responsive website builder, search engine optimization company, website design | Permalink.